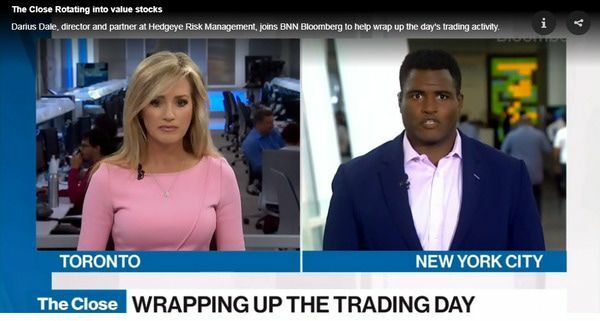 Our Senior Macro analyst Darius Dale joined BNN Bloomberg yesterday afternoon to discuss our latest take on the markets and economy. "We've been on an historic, eight-quarter run of accelerating economic growth. Obviously FAANGs alongside a lot of other US corporates have benefitted from that. But what we saw with Facebook, and some of these other names that have actually blown up on earnings is that run is likely coming to an end in rate of change terms. We are not bullish on the overall market. We are not explicitly bearish to the extent that we think there will be a ten, fifteen, twenty percent decline. 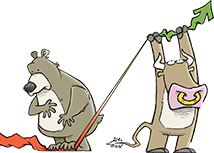 We just think the leadership, the momentum, will start to shift away from growth style factors, and momentum and high-beta oriented style factors into slow beta and yield chasing things that will benefit from interest rates falling in the intermediate term.